There is lots to do when you are low on crew, but the trio on board the International Space Station has science down to a fine art. Join us as we delve into the week that was 22-26 October in this wrap-up of ESA astronaut Alexander Gerst’s activities on board. Crew time may be at a premium, but Alexander still managed to deliver valuable data to Earth-based researchers this week – including data from DOSIS-3D. 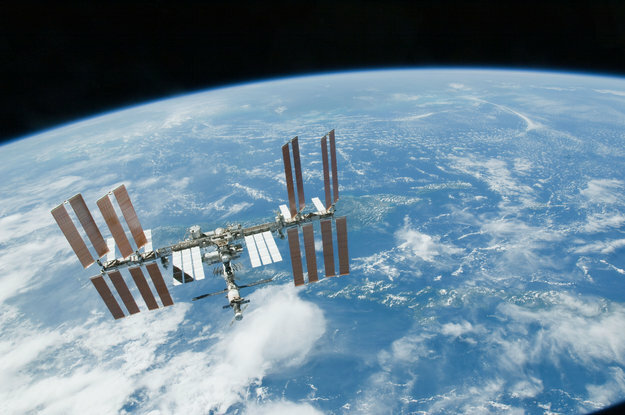 If you’ve been following the blog, you might recall DOSIS-3D as an investigation into the levels and distribution of radiation inside the Space Station. This is measured by several active and passive detectors on board. Earlier in his Horizons mission, Alexander installed two new passive detectors in ESA’s Columbus module. The data these collect (in combination with data from NASA and the Japan Aerospace Exploration Agency JAXA) will help build a concise three-dimensional dose distribution map of all the Space Station segments. It could also prove beneficial in monitoring radiation for commercial and military airline crews, as well as others exposed to radiation, and aid the development of countermeasures for future missions to the Moon, Mars and beyond. But wait, there’s more. DOSIS-3D wasn’t the only experiment to benefit from a data downlink this week, European researchers also received data from the recently-upgraded Fluid Science Laboratory. As a multi-user facility, the Fluid Science Laboratory provides a central location for studying fluids in space. Understanding how fluids behave in microgravity will help Earth-based applications such as building more effective drainage systems, as well as the development of new fluid delivery systems for spacecraft and even methods for asteroid mining. Other activities on the Station included the reconfiguration of technology demonstrator Wireless Compose to energy harvesting mode. In this mode, the experimental wireless sensing and positioning network from German Aerospace Centre DLR gathers power to run its sensors from ambient lighting in the Columbus module. Why look into the potential of wireless networks? Aside from aesthetics, you might be surprised to learn that the mass of wiring on a spacecraft can make up five to ten percent of that spacecraft’s total mass. Systems like Wireless Compose could help reduce this mass and provide greater flexibility without the need for unique wiring interfaces. Read more about it here. Two familiar experiments await Alexander this week, GRIP and GRASP, with both designed to help researchers better understand human physiology and disease diagnosis on Earth. You can learn more about GRIP in the below video from Principal Investigator Jean-Louis Thonnard and his team, and find more information on GRASP in this post. Also on the horizon for Horizons is further experimentation using the Electromagnetic Levitator that was first installed in the Columbus laboratory during Alexander’s Blue Dot mission in 2014. This furnace can heat metals up to 2100°C and then cools them rapidly as they’re suspended in mid-air. Astronauts load the Levitator with cartridges holding the metals. The microgravity furnace takes care of the rest, processing the metals and recording data automatically. Knowledge gained through Electromagnetic Levitator experiments will aid the development of new light-weight, high-performance structural materials for use both in space and on Earth.